WE HAVE OUR WINNERS AND LOTS OF GREAT SUBMISSIONS!!! 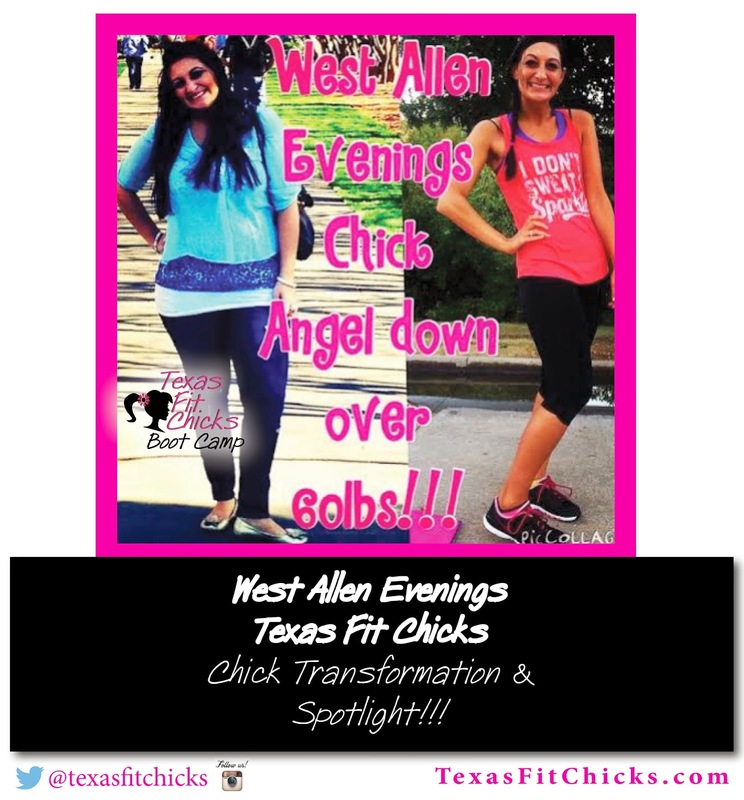 $100 Off of the next session of Texas Fit Chicks! 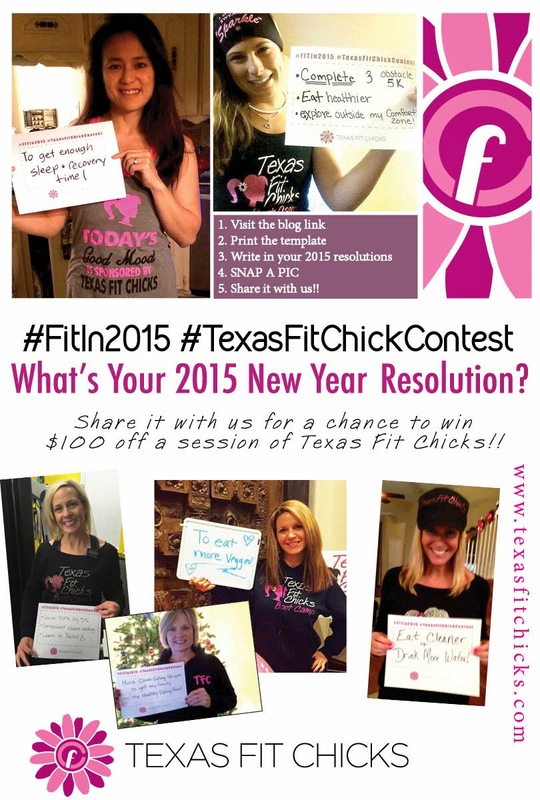 One winner will receive a $100 credit towards purchase of TFC boot camp class. Must redeem within 90 days of winning and be used at the same camp location. No cash value. Non transferable. Winner will be notified by 1/15/2015 via email. 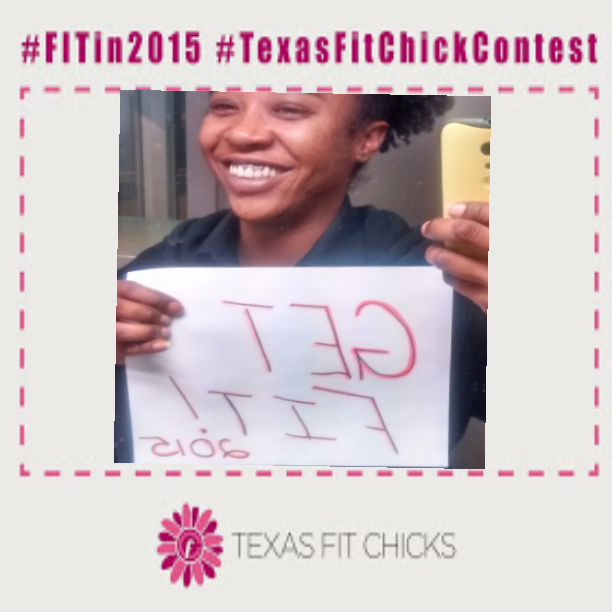 One second place winner will receive a $50 credit to www.fitchickbling.com and will also be notified by 1/15/2015. No cash value non transferable. 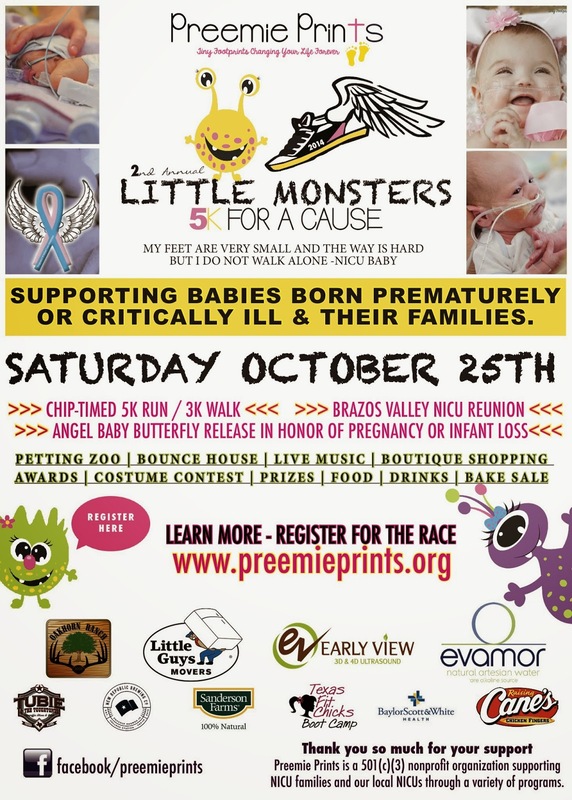 Both winners will be selected by random draw. 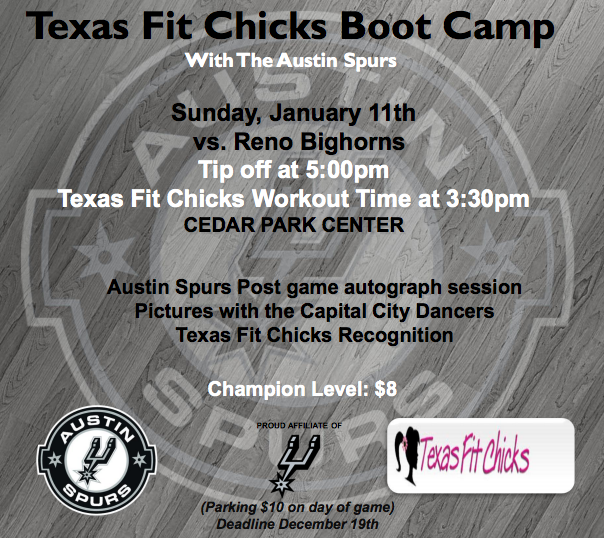 Here is the link to use for the discounted tickets: https://toros.wufoo.com/forms/texas-fit-chicks-boot-camp/ Select the $8 ticket section! 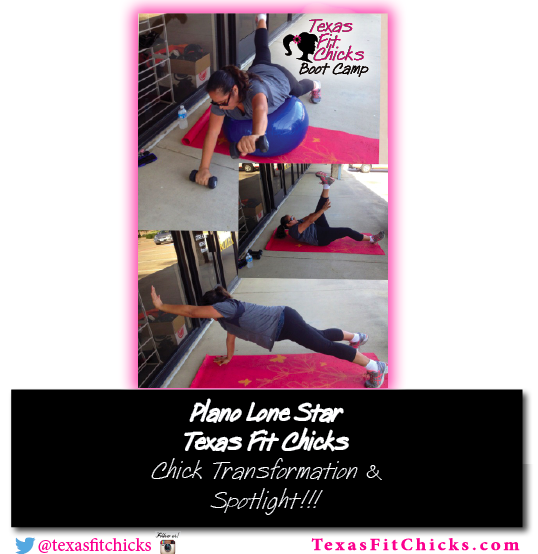 Chick Transformation: Plano Lone Start Texas Fit Chicks! My client, Cynthia Andrade-Chyobotov, has truly inspired me! She and I have been together one year now….since my preview week December 2, 2013. 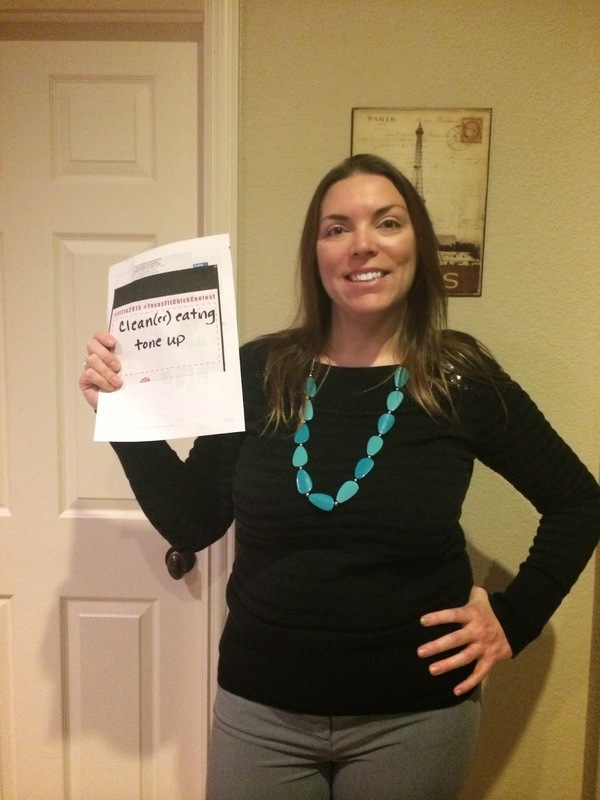 I will never forget the 1st day of boot camp…Cynthia was very sweet and honest when she explained, “I usually do not stick with exercise programs for too long.” I smiled and told her we would just take it one day at a time. Now here we are one year later, still working together! WOO HOO! 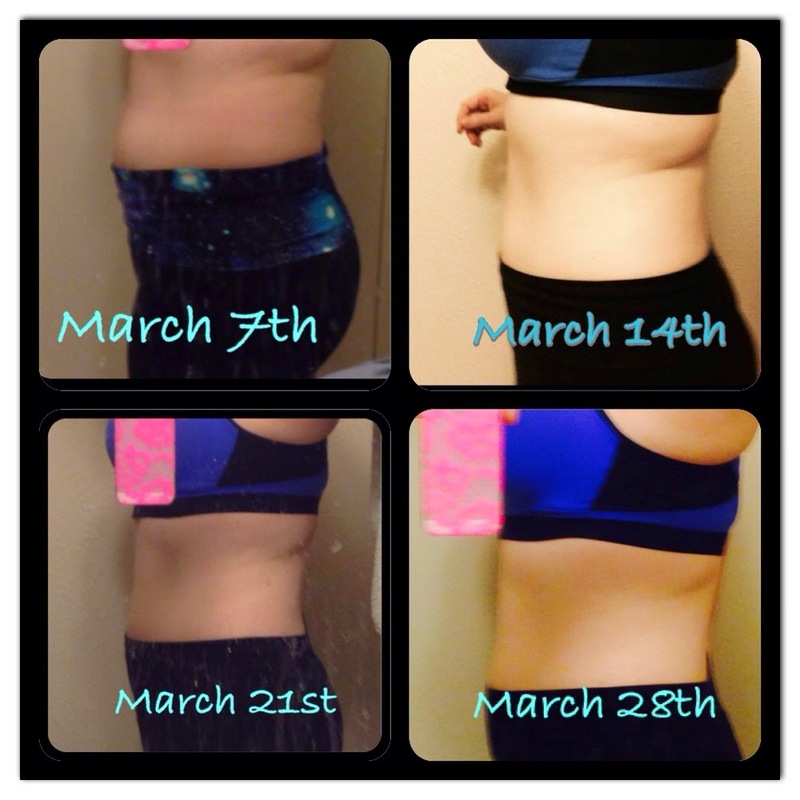 Over this past year, Cynthia has become stronger and shown results in measurements as well as body fat percentage and BMI. 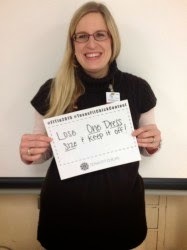 She has also purchased new clothes because they were falling off of her due to her loss of inches. 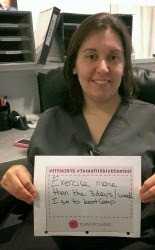 Cynthia has also reached numerous fitness goals including push-ups on her toes, as well as side plank starfish push ups and a pike on the stability ball! She makes me smile every day with her self-determination and positive attitude. Cynthia has also become a “coach” herself and encourages the other ladies in class! I can't say enough about this lady and just how proud I am of her accomplishments! Happy 1 year Anniversary Cynthia! You rock! 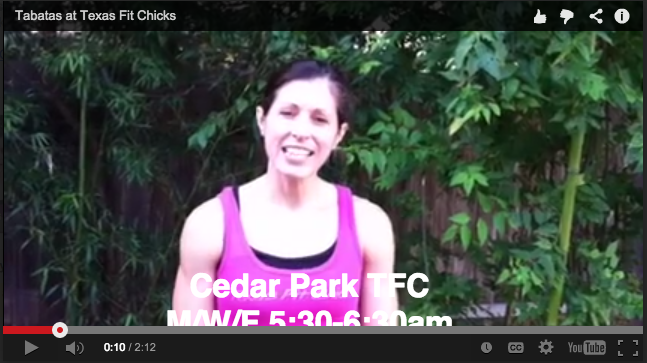 NEW camp Plano West Deerfield MWF at 8:00 a.m.
Meet my friend Jennifer! She has been with me for a couple months now and is seeing some great results. Not only does she work hard - she has the BEST attitude and always smiles in class! 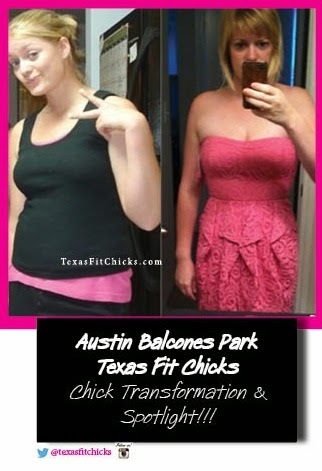 She says: When I started I was a size 10 weighing 170. I just left the mall with size 6 pants and weighed in at 149 today!!! 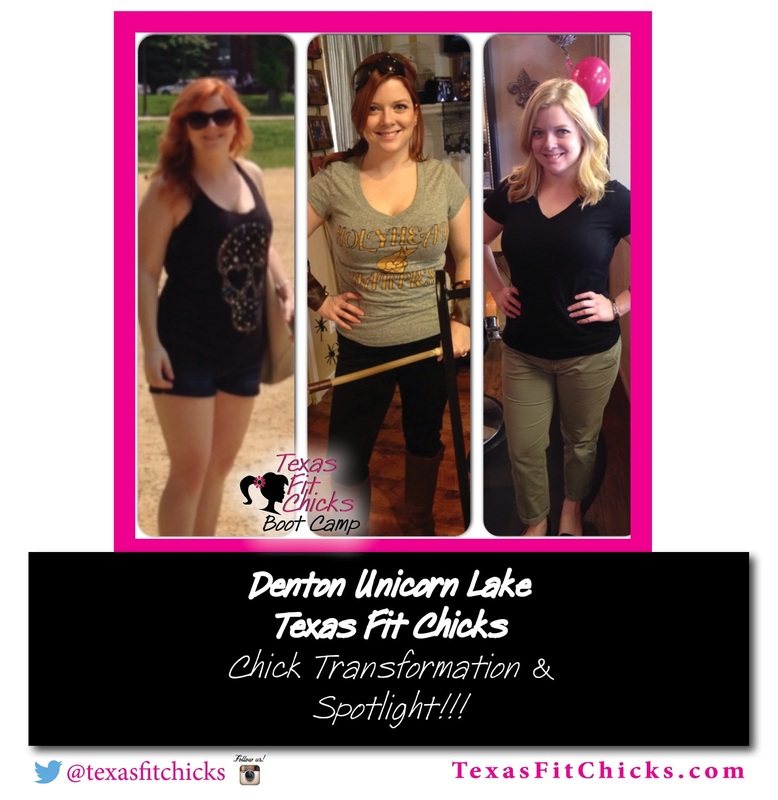 I love texas fit chicks! "I knew I needed to do something. 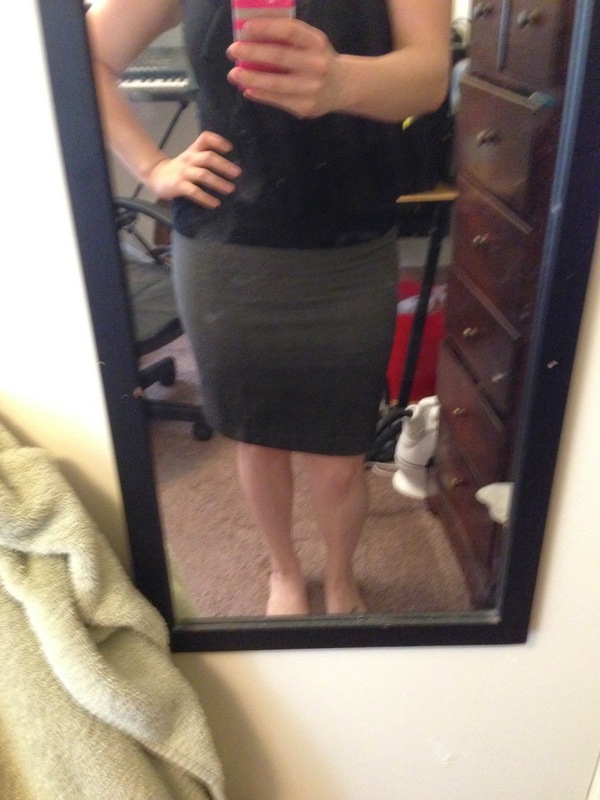 My clothes were uncomfortably tight and I was just not happy with my body. I knew going to the gym, lifting weights and cardio wasn't gonna cut it for me. I need to be held accountable in order to commit to be fit. So I started looking for boot camps and kick boxing clubs. 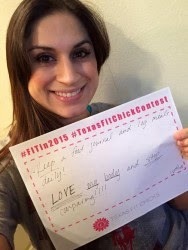 I stumbled upon Texas Fit Chicks and it just felt right. I made the 4 week commitment. I was hooked my first week. I love the group, the morale support and that you get called out if you skip. There's the accountability I was looking for! I find myself doing things I didn't think I could do. I love that there are modifications for the exercises. That leaves no room for excuses. It's amazing that in one hour I can burn so many calories. I leave feeling exhausted and accomplished. 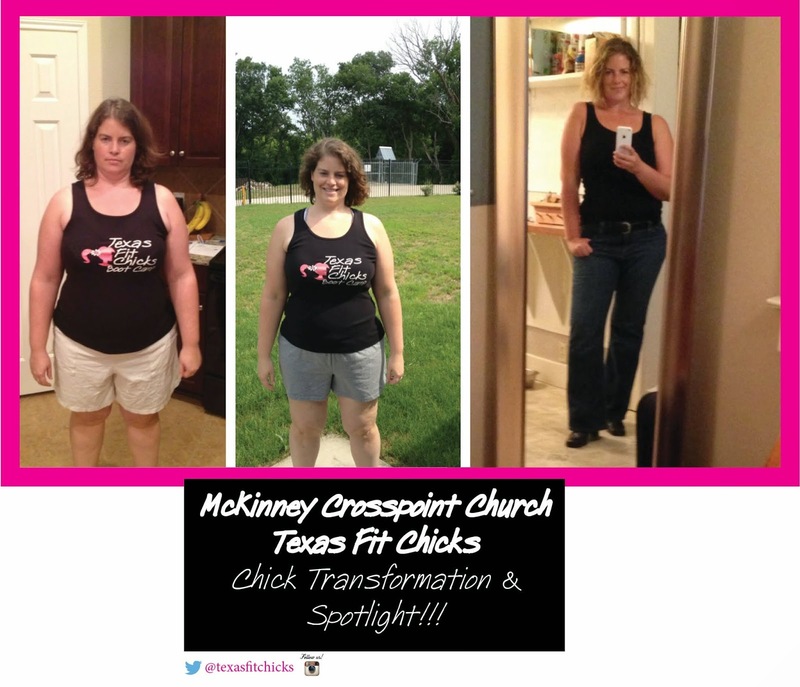 As my Texas Fit Chick trainer says: "If it doesn't challenge you, it doesn't change you" and I'm definitely seeing changes in the mirror, on the scale and in my clothes. I've recommitted myself for 3 months, but realize I probably should have done 6 months. I found a place where I don't feel awkward or out of place while working out and that's a great feeling. 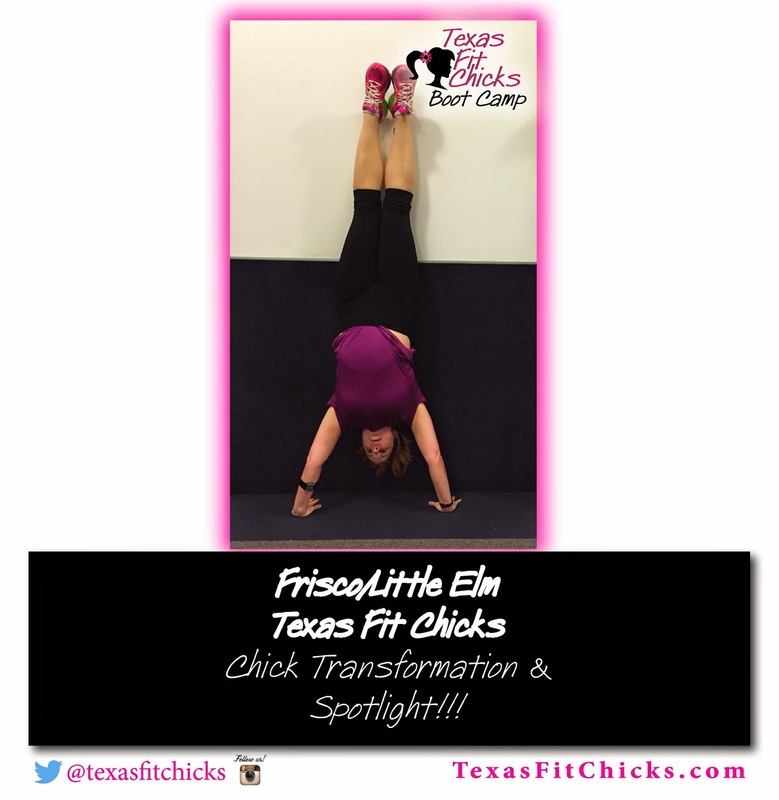 Thank you Texas Fit Chicks Frisco/Little Elm!" 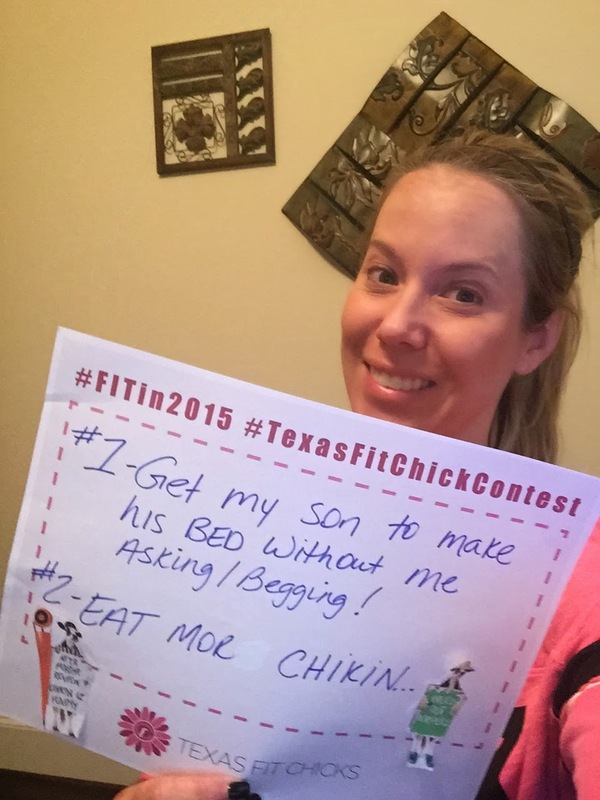 As Christmas nears and you start to think about what gifts you would like; we wanted to share a great idea from one of our Texas Fit Chicks Trainers! 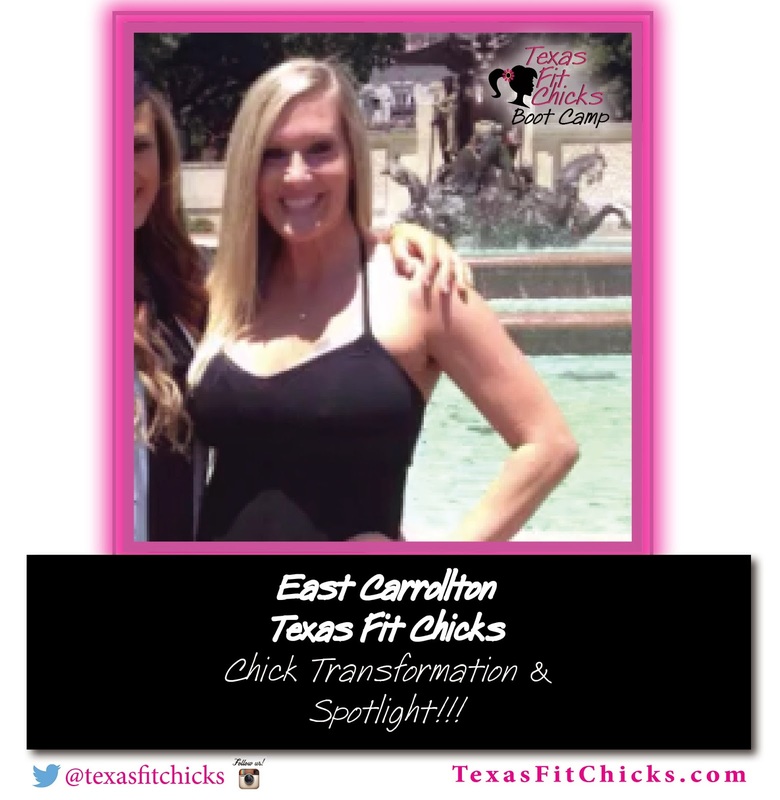 "One of the BEST gifts I ever asked for at Christmas was for my family to all chip in on my Texas Fit Chicks membership!! As an adult, you usually buy what you want when you want it. 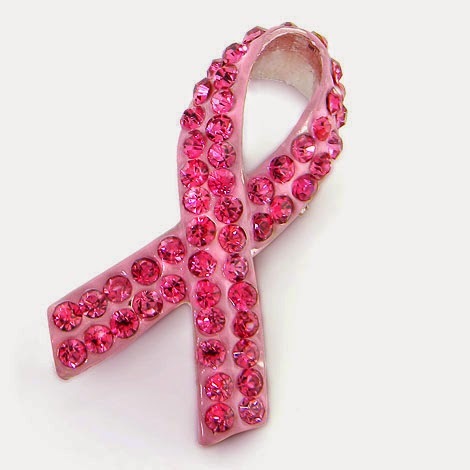 It can be challenging for your loved ones to find something that you really want! I knew what I really wanted was to workout, it made me happy, it gave me energy, it gave me confidence, it toned my body & kept me healthy!!! SO instead of getting a bunch of smaller gifts my hubby helped coordinate all my family investing in one BIG one that added so much to my life!! 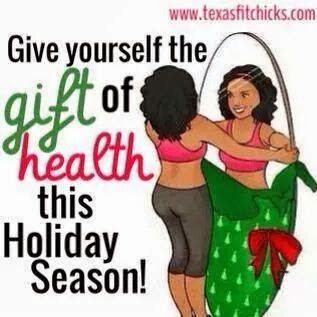 Think about it ladies ~ the gift of health is THE BEST!!! 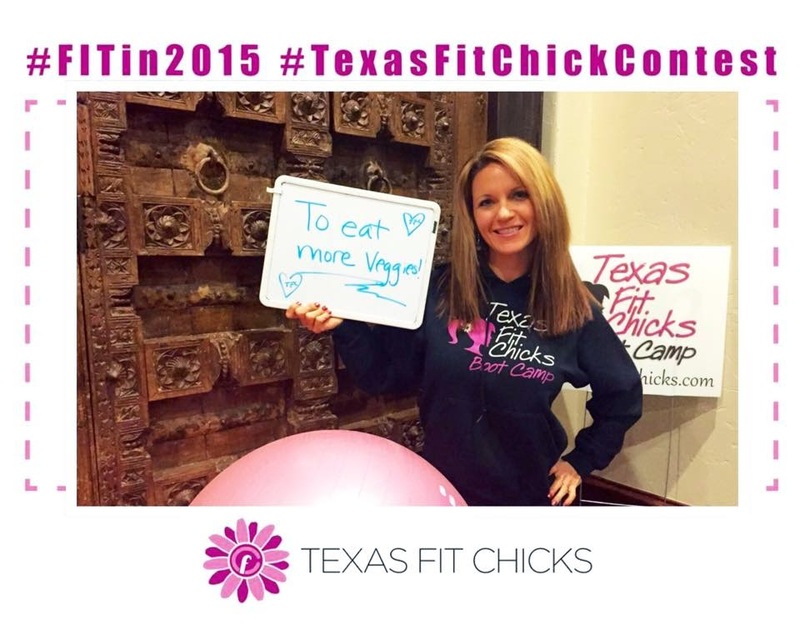 SO Have Texas Fit Chicks at the TOP OF YOUR CHRISTMAS LIST THIS YEAR!" 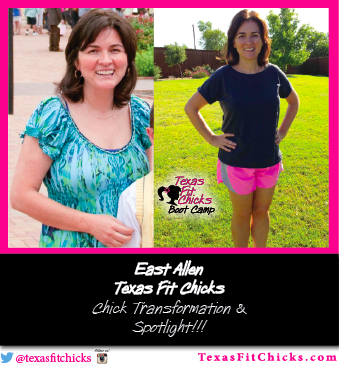 Chick Transformation: Evie @ Cypress Texas Fit Chicks!!! "At the age of 44 years old, I was starting to feel that my body could no longer keep up with my busy lifestyle. I have a fabulous career traveling all over the country which requires me to be on my feet quite a bit. Plus I have a wonderful family which consists of a very active husband and 10 year old son. 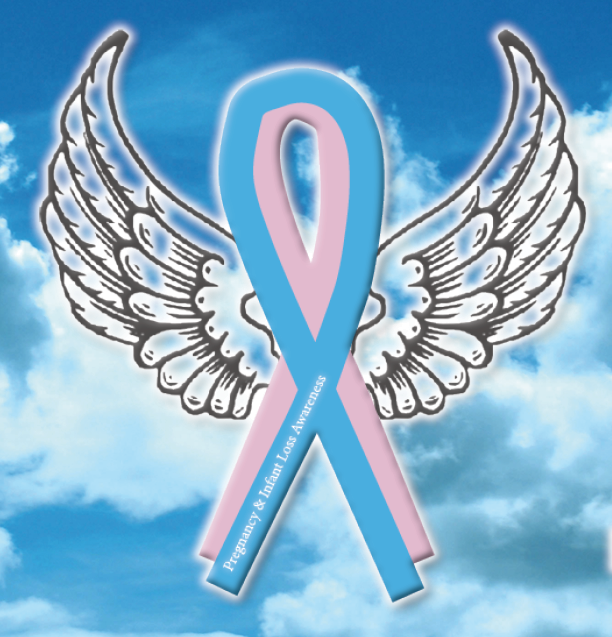 My weight was at an all time high of 270 pounds and I was on the verge of becoming diabetic. My feet and ankles would be swollen at the end of every day, I new I had to do something about my weight for my family and more importantly for myself. I read a book called Wheat Belly which really taught me how to eat a more healthy gluten free diet. I was able to drop some weight and build momentum. Then for around 6 months my weight stayed the same. I noticed my neighbor who had a baby recently was looking pretty buff. 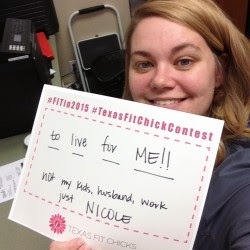 I asked her what she was doing and she told me about Texas Fit Chicks. She offered to take me with her so I could try it out. Knowing I could never make a 5 a.m. class I reluctantly agreed to go and check it out once. I am not going to lie, after the first class I thought I was going to die! But..this class was different than going to a gym. It was all women and no judgement. The trainer kept a close eye on me to make sure I was making the appropriate adjustments. She and all the others were so supportive. I decided to sign up for 1 month. I told myself that if I stuck with it for one month my reward would be to sign up for three months. Three months later I was rockin' and Rollin' on the weight loss and rewarded myself with 6 more months. Then for the first time since I joined I had a weight gain instead off loss. I felt defeated and told my trainer that I didn't know what I was doing wrong. She suggested I take a closer look at my calorie intake. That very day she sent me caloric goals to stick within for weight loss. I was religious about following her caloric recommendations. This taught me a very important lesson, I was still over eating even though I was eating gluten free. So I taught myself to limit my portions and amount of snacking. I was going to be out of town for my monthly weigh in so I asked Marissa to weigh me in early. She said "is that right? Step on the scale again," then she said "you lost 15 pounds since your last weigh in." She and I both were a little teary eyed, I said "we make an amazing team." I am still not at my goal weight do my story is not finished yet. But I have consistently continued to drop weight since the I have both diet and exersize under control: I get compliments daily about how good I am looking. My body is taking shape. Not too long after my big month of weight loss I was able to fulfill a life long dream if mine to meet Oprah Winfrey. My boss called me up to tell me that Oprah was going to be attending one of our events and she wanted me there. So I hopped a plain to Chicago to meet Oprah. It was so gratifying to not only meet my the person I have admired since my role model for high school, but I was able to actually look amazing in the fitted new dress I purchased after my weight loss. 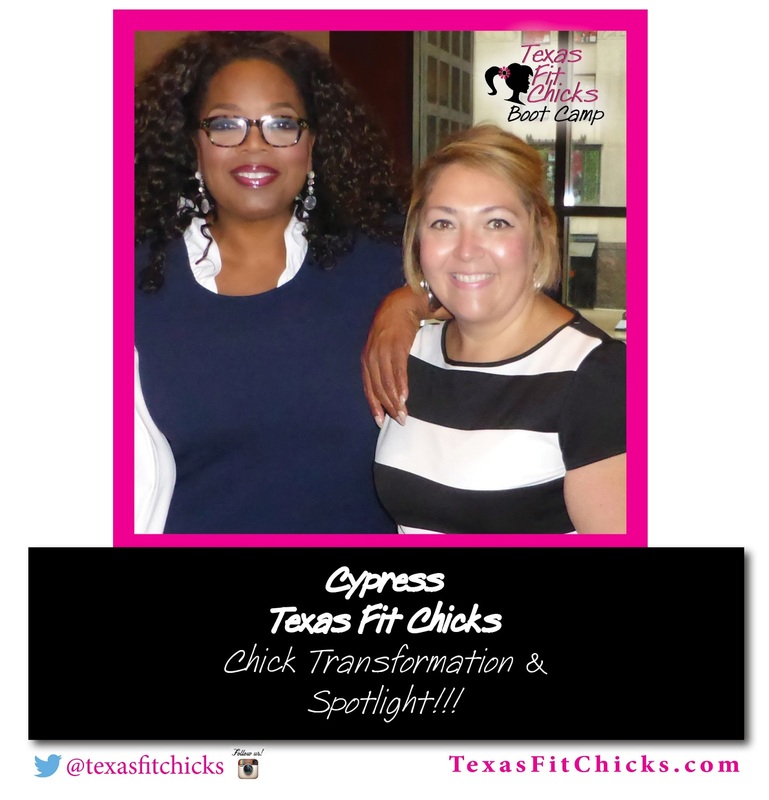 Thank you Texas Fit Chicks and my trainer Marissa for making me look so good next to Oprah. Oh yes, in case your wondering, Oprah is just as amazing in person as she is on T.V."